All models Packaging Dimensions 1.2 in. x 0.9 in. x 0.6 in. All models Weight 0.018 lbs. Good quality product. The one thing I missed was the color ring. I was think it was the white washer, but its the small pin stripe. Its colored, I was just hoping for it to be more easily identifiable. 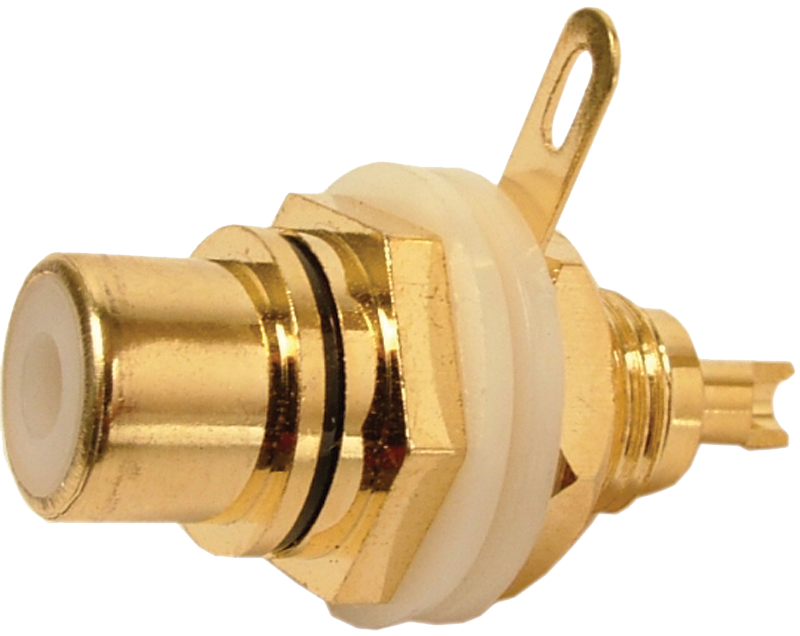 These are high quality, gold plated RCA jacks that I use on all the tube equipment that I build or restore. Have never had any connection problems and they look great. I always purchase the Red for right channel and the White for left channel. I highly recommend these for new builds or restorations. As always, these are more quality parts from AES. 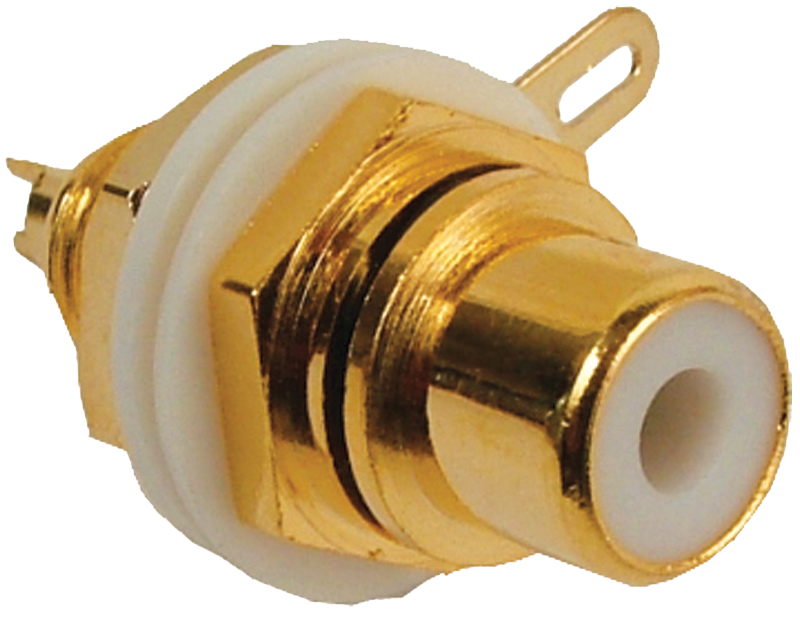 These RCA chassis mount, gold plated jacks are a great, high quality item. I've been using the in my tube amps since 2007 and I highly recommend them as an option for new builds or restorations. 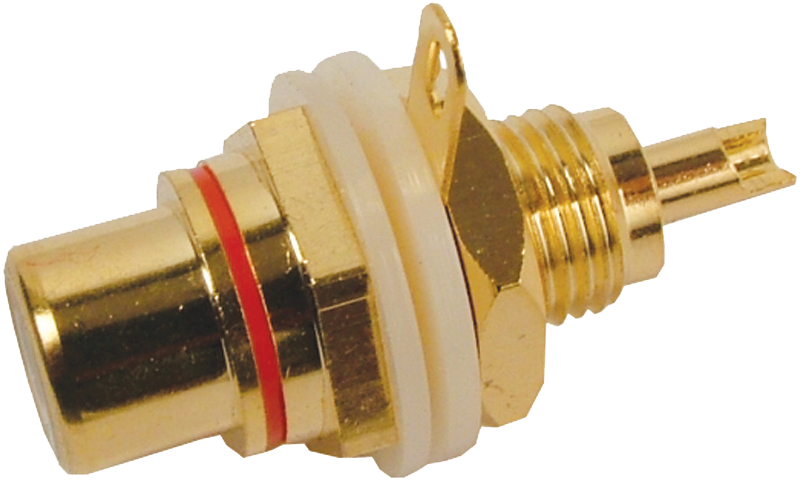 I purchased these to use in the tube phono stage preamp I'm building to use with my 6L6 GE stereo tube amp I built in 2009. They look great and have had no connection problems at all, best of all all the RCA jacks on my equipment match. Asked by Anonymous on June 21st, 2017. I put these jacks up to a magnet and they are magnetic. It's not a very strong magnetic field, but they sure are. I would therefore think there is a nickel plate underneath the gold plate. We put one of these up to a magnet and they are not magnetic.